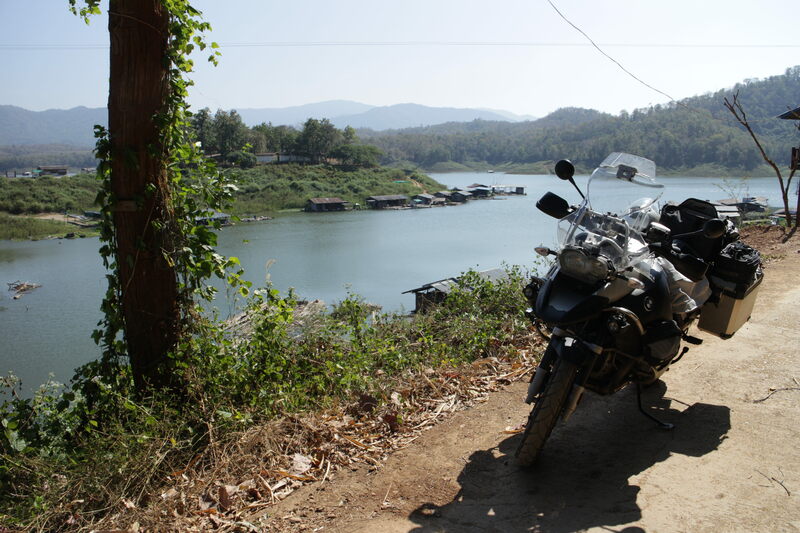 Continuing on from the first video on highway1339 the road leads to a ferry crossing over the Sirikit reservoir, which is filled by the Nan river which you will see regularly as you ride north to Nan and beyond. The reservoir is huge, maybe one the biggest in Thailand, although the part you cross is not really representative of the size. 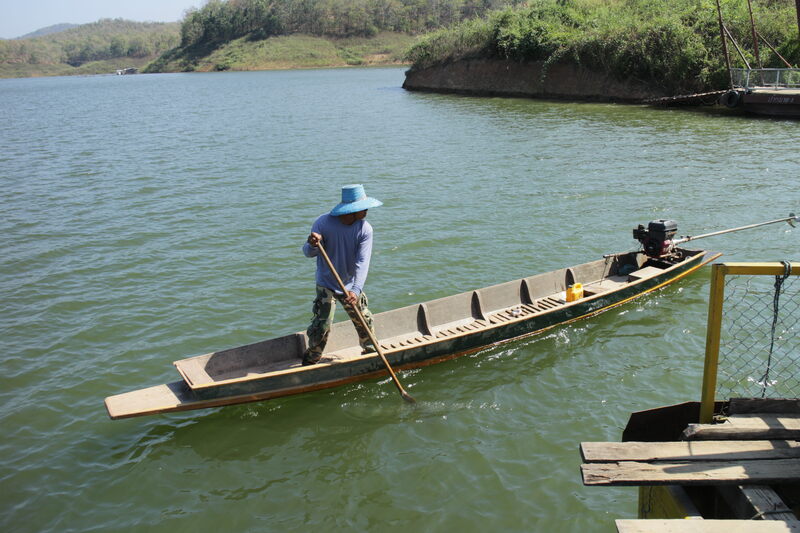 I call the crossing vehicle a ferry but it is in fact a pontoon pulled by a small long tail boat. Sounds a bit dodgy but it appears a well run operation and all for 150baht per crossing for bike and rider. Not sure how much was for the bike and how much for me. At 13 minutes into the video is the first sight of the reservoir and you can make some friends with some local dogs! If you miss a crossing be prepared for a 30 to 60 minute wait which is no big deal. There is food and a small shop at both sides to fill the time whether you heading north or south. 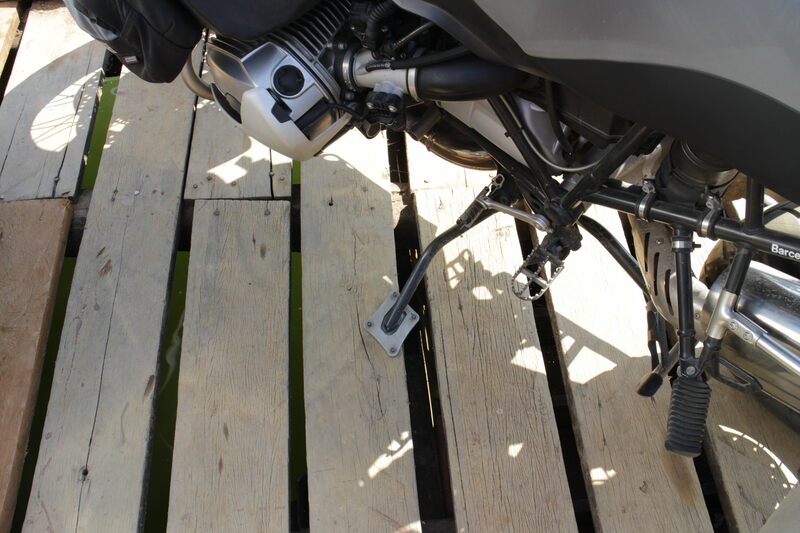 I think at most the pontoon can take two cars and a few bikes and it takes about 25 minutes. 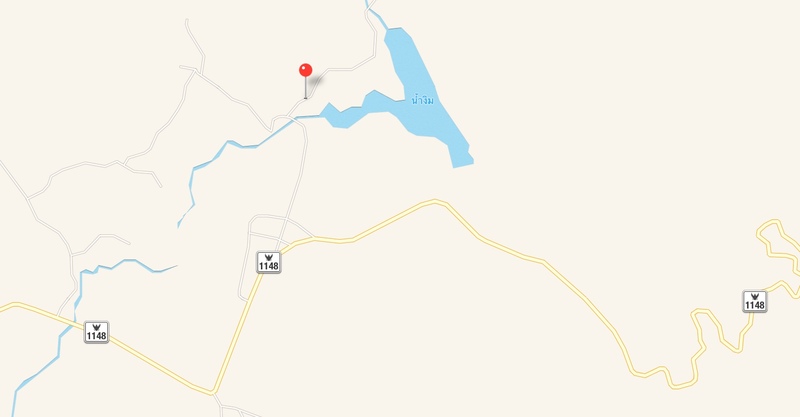 Highway 1339 runs northwest out of Nam Pat or Nam Pad on some maps (‘d’ and ‘t’ are used interchangeable in translations from Thai into English) and into Lam Nam Nan National Park. This video starts just leaving Nam Pat. There is no real park entrance I found so do not worry about an entrance fee. 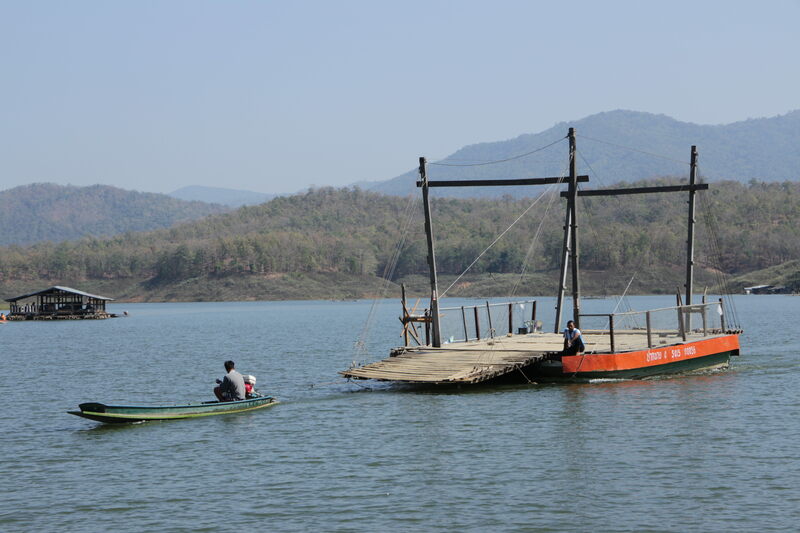 The only real reason to use this road is to go and take the ferry across Sirikit reservoir and enjoy the journey as it is certainly quicker going north to Nan or south from it via routes east or west. For example east of here is the wonderful highway 1268 which you can view here and stop by the Phu Soi Dao Waterfall for a relaxing break. After that take highway 1241/1083 which are all great into Nan. If you just want to get somewhere and time is pressing go the route west of here on the major north/south highways. Otherwise have an more leisurely and interesting experience and take highway 1339! Elevation change on this section is from 150m to 500m so nothing too drastic. The road is in good condition with occasional pot holed sections. 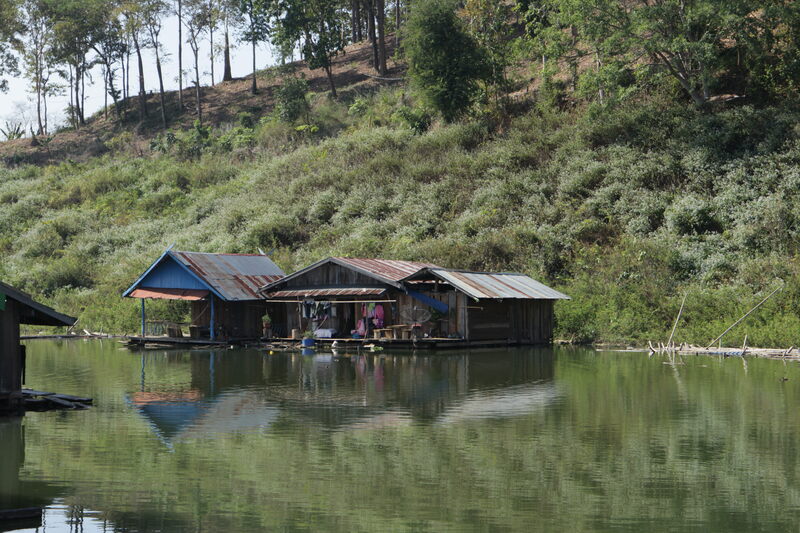 You go through several small little villages (Tambon in Thai). Be careful riding through these villages for chickens and kids darting across. I killed a chicken on the way back on this route despite slowing down and felt very guilty about it. Aey later said not to worry as a chicken is worth around 80Baht and the village would just cook up a chicken meal that night. Still maybe next time I would stop and give them small offering if I could find anyone to do so who could understand me. 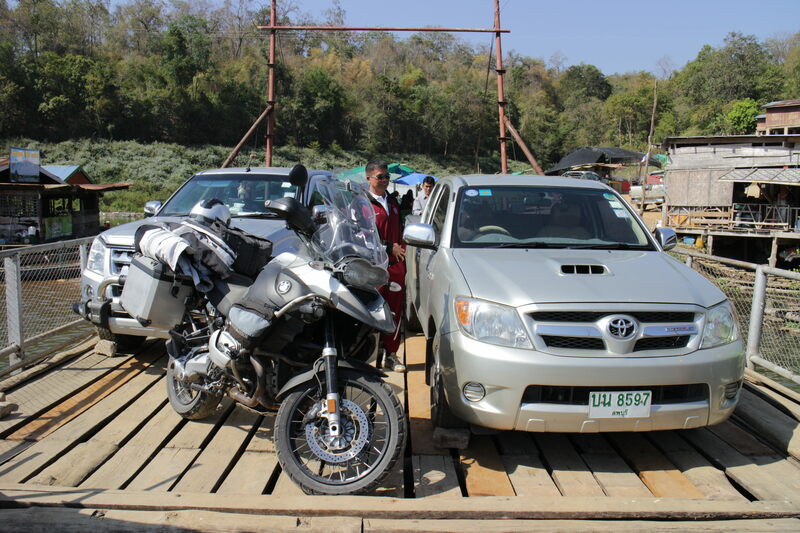 This video is the first of three for highway 1339 with part two taking you to the ferry crossing and part three north of Sirikit resvoir heading to Nan. 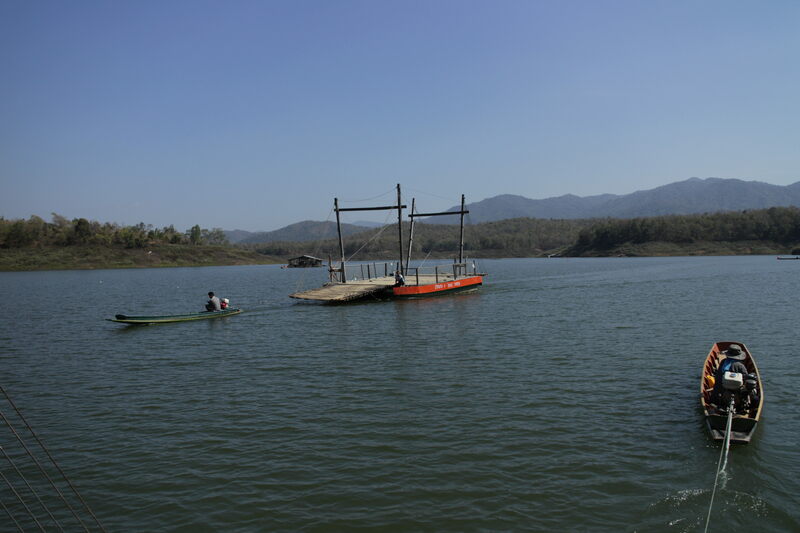 December in Thailand is wonderfully cool and I took a couple of weeks and headed off up to Chiang Rai. 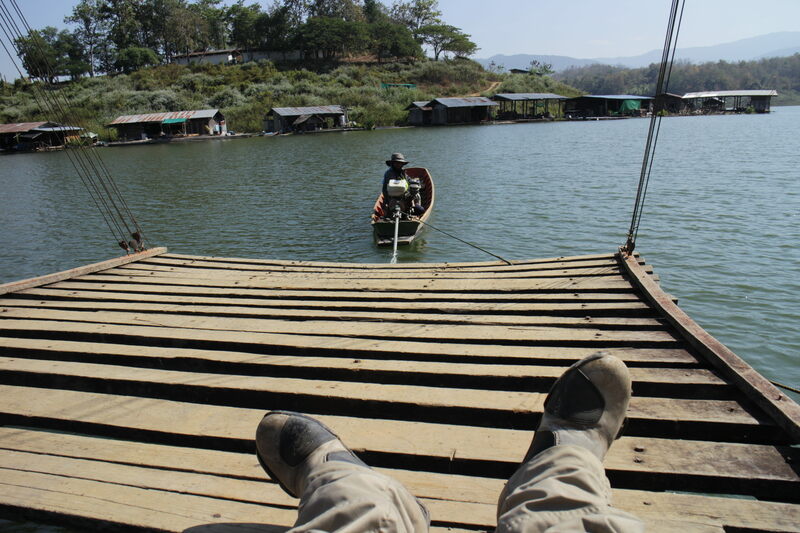 Once in Chiang Rai I worked and hung out for a a week. For a cheap five star hotel check out the Le Meridian, a bargain at around US$100 a night and first class establishment. For those who think Thailand is baking hot all the time if you venture up north at this time of year be prepared to wrap up warm. I usually set off riding before 6am and was poorly equipment for the cold! But come late morning it has warmed up to ride with minimal layers. This video and photos chart the trip. Continuing on from Part 1of this video you carry on along highway 1081 for around 7KM before taking a left on highway 1169 which runs you into Nan. Miss the turn and you will head back up north on the 1081 and to the 1080. Nan has a large scooter shop which is always fun to look around and on the street you can find a number of funky old custom scooters. I am afraid not many photos on this part of the trip apart from Nan scooters! Google map links for exact locations on this video: start of video / finish of video. As you can see from the google street view and my video the start of this part of the trip the road has under gone a major resurfacing and widening and for the next couple of years should be a joy to ride! Enjoy it while you can! 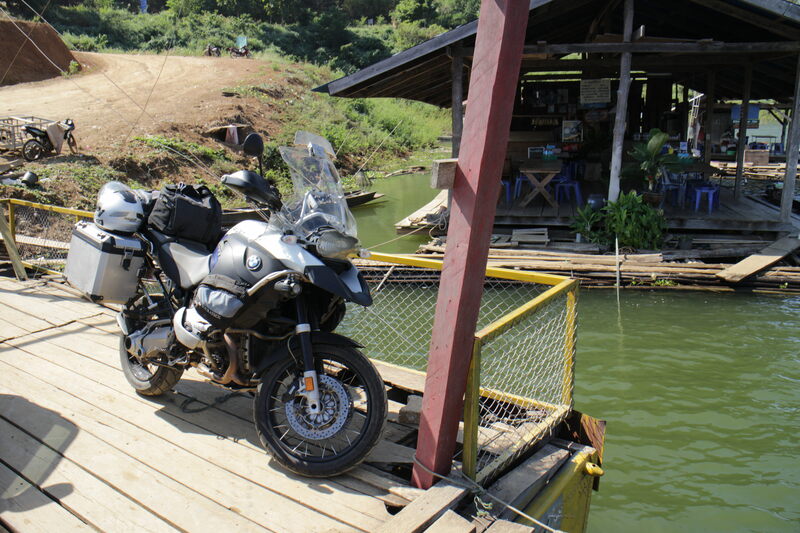 Highway 1081 starts up north in Chaloem Phra Kiat and videos from there can be found here: Part 1 and Part 2. Ride carefully and always within your ability. 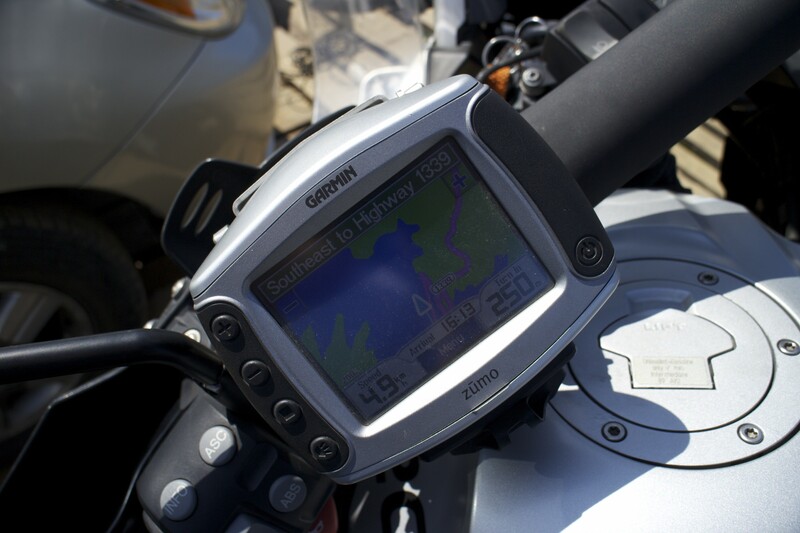 The video shows speed (it is not completely accurate and has some inconsistencies), elevation, heading, distance along the route and a squiggly line representing the road with a red dot showing the current location. This video was shot in April 2014 and roads in Thailand do change over the years, a once pristine section of tarmac can degrade and likewise a bad section can be resurfaced and become as smooth as silk! Leave a comment if you have an up to date report.